Book Hotel in Sreemangal and Resort in Srimangal at cheap. Budget and luxury hotel-cottage available for tourists. Good accommodation in Sreemangal where you can relax your time. Travel any place from these accommodations easily. Hotel, cottage, resort and guest house booking in Srimangal through us or contact directly with them. ( 1 couple bed, 1 single bed, attached bath, Non AC room, high commode, WiFi). (1 couple bed, attached bath, non AC room, WiFi). 2 Separate Rooms > 2 Couple Bed (4 can sleep) > One attached bath- High commode > Air Conditioned > Cloth stand > TV channel. 1 Room, 1 Couple Bed (2 can sleep) > One attached bath- High commode > Air Conditioned > Cloth stand > TV. Common facilities in this Guest House: > Front yard for walking. > Free car parking in front of the guest house. > Kitchen for self catering. > Dinning room and Refrigerator. > 24 hours service. > Secured with Camera. > On request food delivery and cooked > Transport hire available. Address: R Shamoli Residential Area (near rail gate), Vanugach Road, Sreemangal. How to go: By car/ CNG/ Auto rickshaw, you can go to rail gate at Vanugach Road then turn to the left to Shamoli residential area. After 2 minutes, turn to the left again, then Resort World is next. For more guideline, please call to any number. (1 couple bed/ 2 single beds, AC room, attached bath, 2 can sleep). Couple Room- BDT 3000/- (1 couple bed, 1 single bed, attached bath, high commode, Geezer, complementary breakfast, instant power supply, Non AC. 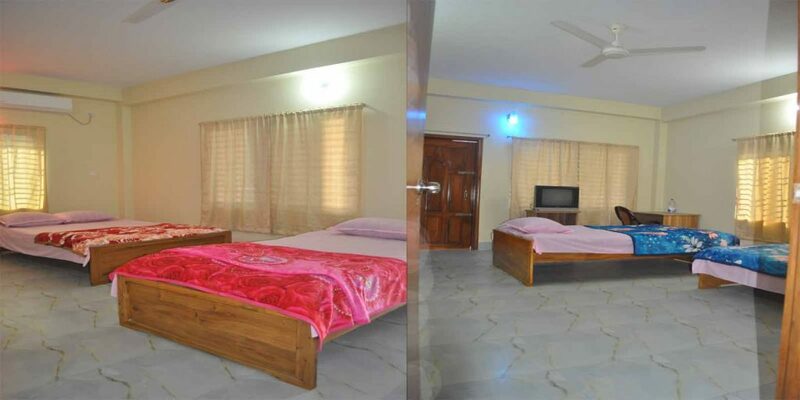 2 Rooms: BDT 5500/- 1 Room- 1 couple bed room. 1 Room- 1 couple bed and 1 single bed, breakfast complimentary, power supply, attached bath, WiFi. 1 AC room with 1 couple bed and 1 single bed, complimentary breakfast, power supply, attached bath, WiFi..
Shanti Bari Cottage is situated at Radhanagar, Sreemangal. Near fruit garden and village. From here, you can go to all tourists spots in Srimangal. 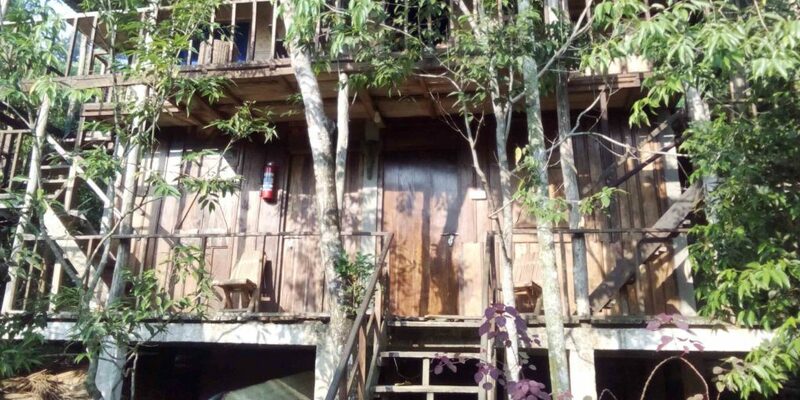 wooden cottage- 1 couple bed, attached bath, complimentary breakfast. Wooden cottage- 2 couple beds, Attached bath, complimentary breakfast. It is a 5 star hotel in peaceful and natural view situated at Pichermuk, Vanugach road, Srimangal. Only 5 kilometers from Srimangal town. There are king size, queen size, executive suites, triple, presidential and family rooms. High speed internet, complimentary breakfast, swimming pool and golf field. 2 couple beds. 4 can sleep. Price- 4,500/- Facilities: complimentary breakfast, attached bath and hot water. 2 beds. 4 can sleep. Price- 4,500/- Facilities are as tent-1 has. Both tents have hilly view of fruit gardens. It is a 3 star category accommodation situated at Ramnagar in Sreemangal. This is in a place where you can see nature and ethnic community. About 3 kilometers far from Sreemangal town. 100% Safe to accommodate. Clean and new building.